1. 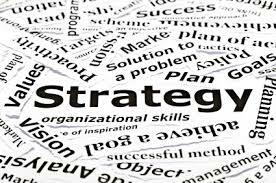 Good Morning Admin - Got Strategy? During several conversations this past week I found myself thinking. . . Got Strategy? I am often puzzled at how an IT Manager, Data Base Administrator, or any of the many titles held by those who find themselves overseeing the technology in a business can aimlessly muddle through their days with no strategic plan at all. I was eighteen when I read Zig Ziglar's quote in one of his books, "If you aim at nothing you will hit it every time". This quote and many more resonated with me then and still do today when it comes to the importance of planning and preparation. I find that more often than not, when an admin is disgruntled with their ERP, VARS, and/or end users, the problem is not directly related to the previously mentioned, but directly related to a lack of planning, and not having a well mapped out strategy for all parties involved. Strategic planning provides the structure we need to make our day-to-day decisions and insure they align with our companies vision and value, inevitably creating direction for all parties involved. I personally have a computer replacement strategy, a partnership strategy, and a management strategy just to name a few of the major strategic planning that goes on as part of my job as an administrator. The one I want to talk about today is having a strategic plan with your VARS or Partner. Without a plan, you will be flushing money down the drain for your company and you will never turn your ERP into the well-oiled, supercharged machine that it is intended to be. So today I want to share with you a few steps toward building a team a plan and some items that should be part of your planning and a great place to start building your own "Strategic Plan" with your VARS. Talk with your partner (VARS). It is important that you collaborate on this strategy and both have input on it and agree to the plans as they are laid out. This is a team effort! Lay a foundation including your company's Mission Statement, Vision, Values, and Future Plans. When everyone on the team knows where you are aiming, together you can build a clear path to getting there. Build a team. Put together a team of people from within the company and also your VARS to work together to build a plan and then continually review and update it as needed. Schedule regular strategic planning meetings. Strategic planning is not a onetime effort it is an ongoing discussion and living document. It should be part of the continual improvement practice. Create an action plan. Each month after review you should have several action steps to take to propel you forward and take it to the next level. Items to consider. Training, ISV's, Modifications, End User Errors, Corrective Action, Response Time, Work Flows and the list is endless. Another great quote from years gone by that I live by is, "If you are coasting, you are going downhill" Like me I am sure as an IT professional an ERP admin you do not want to see your company or yourself personally going downhill. I ask again Got Strategy? If you can answer yes keep on improving it, and if not, today is a great day to start! A great place to start is by joining us at this year's Dynamic Community FOCUS Conference, The NAVUG portion of the conference will be on May 21 and 22 in Indianapolis, IN. 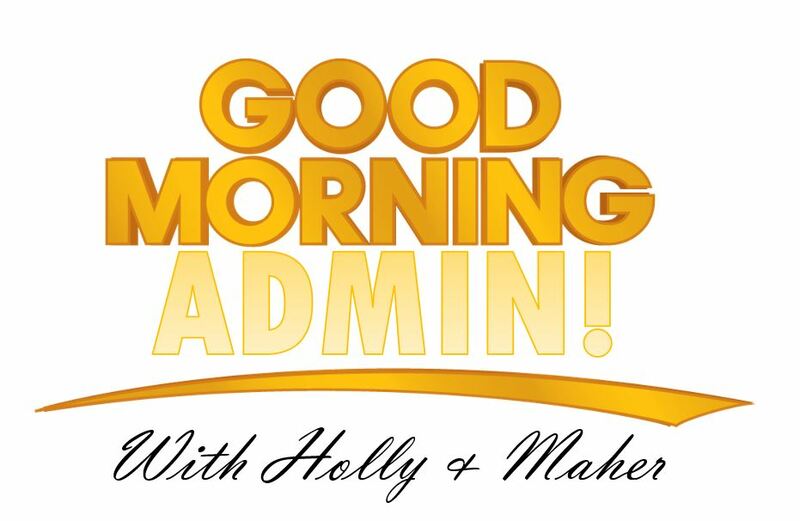 There will be a 2 day track just for NAV ADMINISTRATORS beginning with "Good Morning Admin" each morning after breakfast with Holly and Maher. 2. RE: Good Morning Admin - Got Strategy? Great post, Holly! Nicely put. Subject: Good Morning Admin - Got Strategy? I find that more often than not, when an admin is disgruntled with their ERP, VARS, and/or end users, the problem is not directly related to the previously mentioned, but directly related to a lack of panning, and not having a well mapped out strategy for all parties involved. Strategic planning provides the structure we need to make our day-to-day decisions and insure they align with our companies vision and value, inevitably creating direction for all parties involved. 3. RE: Good Morning Admin - Got Strategy? I am curious what you mean by "partnership strategy"? 4. RE: Good Morning Admin - Got Strategy? We work very closely with our partner and have developed an in depth strategy with them. The first discussion was around the difference between a client and a partner. We were looking for a partner someone to not just respond when we broke NAV, or wanted to upgrade, but a partner that worked directly with us, understood who we are, our values, our vision and what we wanted to accomplish in and out of our ERP. Then we began to break that down. We talked about training, we never want just a fix, but to have continuous training and re-training when necessary to stop the damage and learn to do things correctly. Then we discussed workflows and automation, how that would look. The steps we wanted to follow when talking about modifications. What would be allowed and not allowed. 1. look at what is available in NAV already and adjust the workflow and train employee's to use the new workflow to achieve the result we are looking for. 2. look for an add on that could achieve the result we are looking for. 3. review the request and changes needed to achieve the result we are looking for and insure that the requested change would not hinder any future upgrade to the ERP before proceeding. We have agreed to be completely honest and open about our relationship and also our thoughts on all changes, mods, ISV's etc with one another. No Judgement. This is just a small piece of the partnership strategy.